The Future City is one that seeks to solve the issues that we associate with the current model of a city. Cities are dense population centers that are only growing larger. There is a recent trend of the population returning to the urban centers that they once fled for the suburbs. But there is little room within the pre-existing city to house this growing population. So the city must expand, creating a ring of residential areas around/outside the existing city (and while these areas go under different names they can essentially be grouped as part of the larger city). This in turn brings development to the surrounding area to support the residences. In this way the city grows outward, cars and other transportation becomes necessary to ensure the people can get to where they want/need to go. Traffic becomes a concern as a growing population uses the static or slow-to-grow highway network. 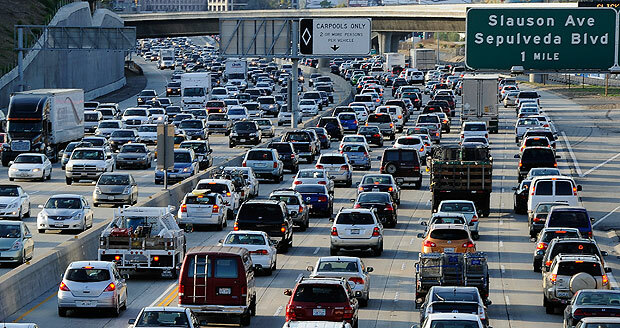 It is estimated that drivers in Los Angeles spend 90 hours per year in traffic. Sustainability also becomes a concern as more cars spending more time on the roads. The city’s impact grows along with the city, especially if sustainable practices aren’t being used in the buildings. One possible solution to these problems is the Vertical City. 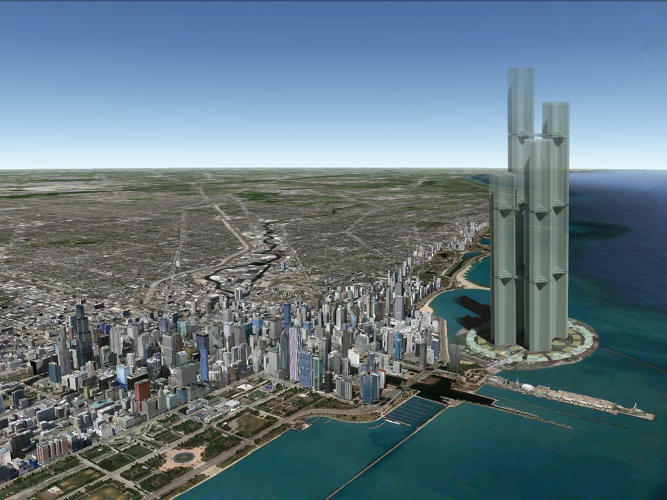 It is a fairly simple and not-at-all recent concept: a large mixed-use tower (or series of interconnected towers) built within or near the cityscape. Complexes like these expand a city in the vertical direction instead of the horizontal. They could house several thousand people with all the necessary support program, house businesses for the people to work in. This would limit the spread-out of the city, bringing everything closer together and lessening the need for cars and transportation, as everything within the Vertical City is walkable. Additionally there would presumably be some development outside of the complex creating other places/attractions within walking distance, as the Vertical City is a part of a larger city. Luca Curci Architects designed a vertical city for the United Arab Emirates, a 180 floor skyscraper that could house up to 25,000 people. As a Vertical City would be a new construction, it would be relatively easy to include sustainable practices into its design. Passive heating and cooling, air filtering, solar and wind power could all be incorporated. Vertical Cities are also ideal for the inclusion of green spaces, which could help with water run-off, air filtering and could even be used to grow produce. A vertical city designed with maximum green space. These Vertical Cities are already being designed and proposed in the oil-rich and quickly growing parts of the Middle East and in China, where they are seeking ways to increase city density. Note that these are two very wealthy areas, as that is the biggest downside to this vision of the future city. These massive towers and complexes are expensive and land within a city is always at a premium. While very expensive, Vertical City complexes are a way to increase city density, create mixed-use (Residential/Retail/Office space) within the fabric of the city and help create some amount of sustainability within the city.